Sleep is a huge problem and most people are looking for ways to improve sleep quality. In today’s society, it’s hard to come by someone who naturally has consistent and truly restorative sleep. 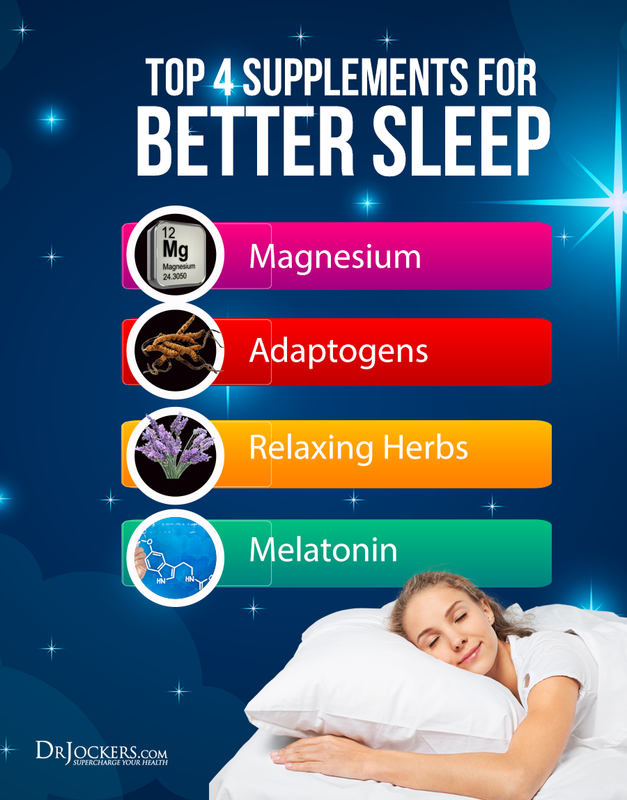 Lying in bed while your mind races about how you wish you could be sleeping can be super frustrating… That’s why I created this list of my top supplements to improve sleep because sometimes temporary relief can make a huge difference. I understand this and I know why many Americans turn to medications and supplements to help take the edge off just to get some sleep. What we sometimes fail to address is if our body has the nutrients it needs to get optimal sleep and that sometimes nutrition plays a major role. The way I look at it, chronic insomnia or sleep disruptions just aren’t normal. There are several factors involved but sometimes it comes down to your body just not having what it needs. There are several connections between nutrition and sleep that are overlooked too often so in this article I hope to expose those connections to you. 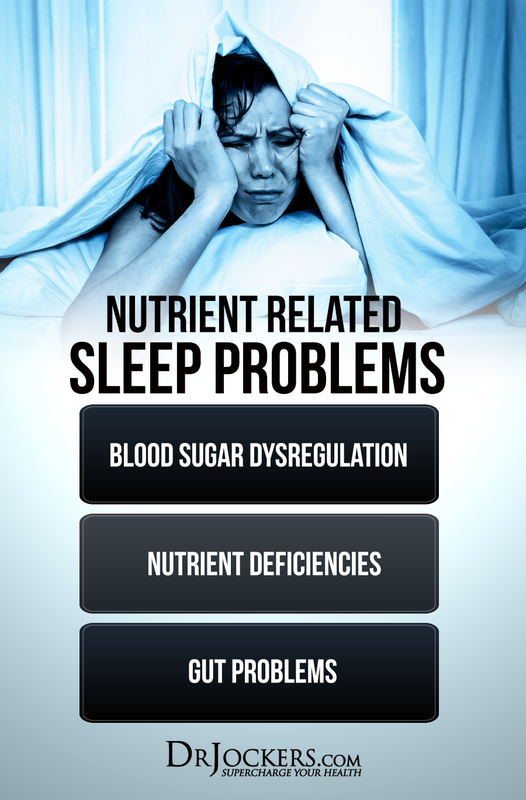 One of the reasons I think that the nutrition-sleep connection is not made is that the connections aren’t very obvious. These are what I have noticed to be some of the common culprits in my experience. 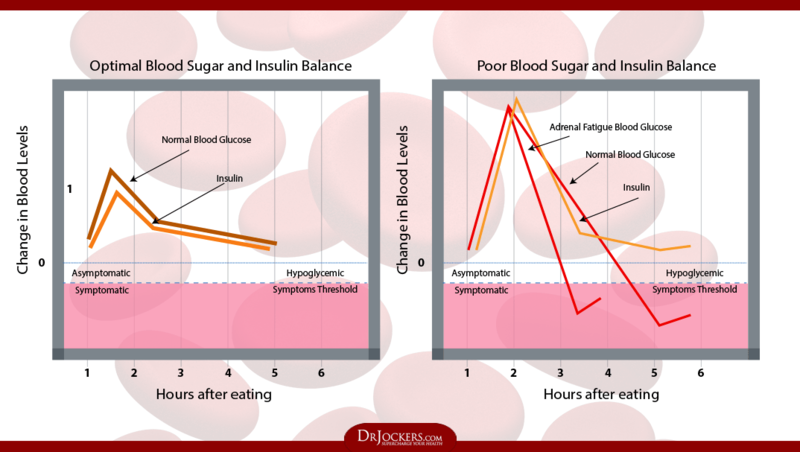 Blood sugar problems can disrupt sleep big time. The main reason this happens has to do with the hormone cortisol. Cortisol is a hormone released by the adrenal glands during high-stress situations or when the body perceives an immediate crisis. One of the primary actions of cortisol is to pull sugar from glycogen stores and into the blood so the body can use it for immediate energy to solve the crisis. If we are eating a diet that is constantly throwing our blood sugar around, it can become hard for the body to regulate it. When an intense blood sugar crash occurs, cortisol is released to help stabilize it. Consuming a meal rich in fast-digesting sources of sugars before bed will likely lead to this kind of blood sugar response and either prevent you from falling sleep or wake you up in the middle of the night. If you are someone who consumes a carbohydrate-rich diet and often wake during the night, you may want to address this first. Try instead opting for a meal high in healthy fats, a nice clean source of protein, and some slow digesting carbs. 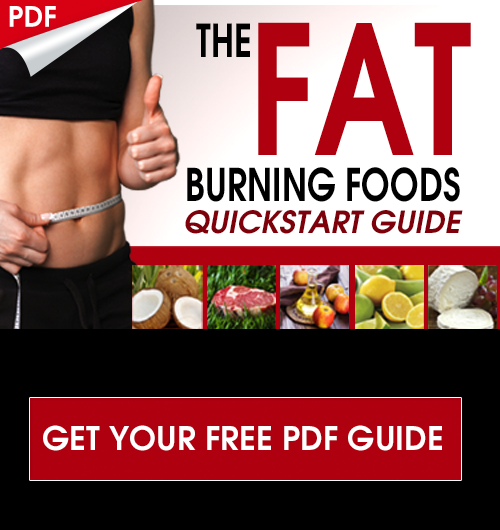 Scroll down for some great information on eating this style of diet. The body relies on chemical signals in order to properly regulate itself. Whether it is a hormone, neurotransmitter, or a protein, the body needs to have the building blocks necessary to manufacture those chemicals. For example, the inhibitory neurotransmitter GABA that signals the brain to relax requires adequate amounts of zinc, vitamin B6, magnesium, taurine, and glutamine. Being able to produce enough melatonin at night also depends on your intake of tryptophan which then needs all the necessary conversion factors to be made into melatonin. I would say the two biggest factors here to address are to make sure you are consuming a super nutrient dense diet devoid of as many toxins (pesticides, molds, heavy metals) as possible. On top of that you want to make sure you have strong stomach acid and a healthy gut, otherwise you will not be able to absorb these critical nutrients. Partially mentioned already, your gut health can influence your ability to get good sleep at night. Not only will poor gut health inhibit the absorption of nutrients needed to make sleep chemicals in the body, but can also damage the very tissues in the gut that produce these chemicals. Did you know that your gut produces most of your melatonin (not your pineal gland)(1)? Gut health is tied to overall health in complex ways that we do not fully understand yet. I always look to the gut in times of dysfunction in the body, including chronic insomnia. Remove as many toxins from the diet as possible that could contribute to gut damage. This includes pesticides, heavy metals, mold, and fungus. Be proactive in healing your gut lining. Consume things like bone broth, fermented foods, and a high-quality probiotic on a regular basis. Find out if you have any food sensitivities. It is possible that foods you are eating every day are damaging your gut even though you don’t feel any different after eating them. Common ones are eggs, dairy, nightshade vegetables, grains, and caffeine. The three major issues that were just outlined can be addressed nutritionally by following the healing diet guidelines here. 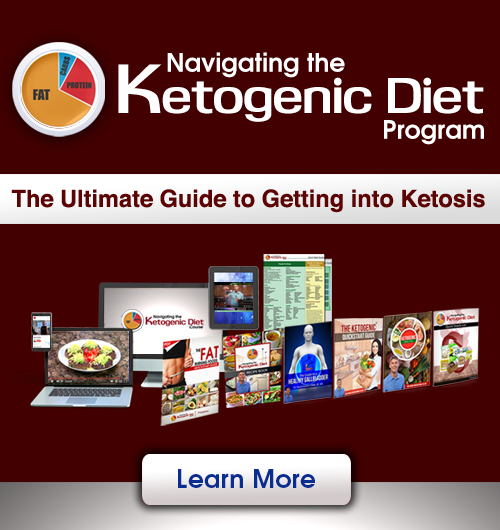 This type of nutrition plan maximizes the nutrients you are getting from your food while also limiting toxins and sensitive foods that may be causing you trouble. By following this style of eating you empower your own body to balance blood sugar, obtain the nutrients it needs, and give the gut a chance to heal any damage it may have. In addition to following a healing diet, there are certain supplements that can help boost the quality of your sleep: some for daily use and some only recommended for occasional use. Although I wouldn’t consider a reliance on supplements for sleep a healthy practice, there are some supplements that can improve the body’s own ability to induce sleep. When it comes down to it, sleep is a regulatory cycle in the body. By using substances that improve the body’s ability to regulate itself, sleep can actually be improved over time and not just when the substance is being used. With that said, here are the best supplements to improve sleep quality. I believe magnesium deficiency may be one of the most pervasive and insidious deficiencies of our time. There are many consequences of not taking in adequate dietary magnesium. 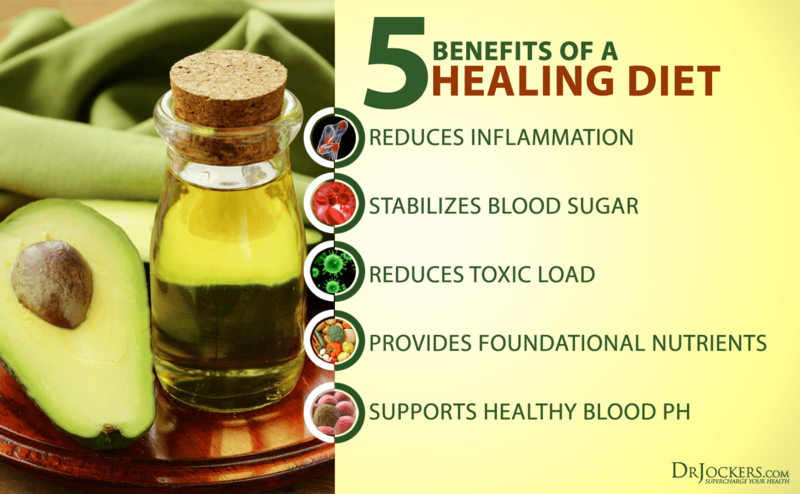 Utilized in over 300 different body processes, it just may be one of the most important minerals in our bodies. In terms of sleep, magnesium plays a critical role in regulating melatonin and GABA levels in the brain (2, 3). Melatonin and GABA are released in healthy individuals to help induce relaxation and sleep. Without adequate magnesium intake, the brain may not be able to properly signal the body for sleep. Also, for its ability to support GABA production in the brain, magnesium is an effective anxiolytic. Additional research has shown that magnesium helps to balance blood sugar, lower blood pressure, and relieve physical tension. For anyone experiencing insomnia and especially those who can’t seem to shut their brain off at night, magnesium is my go-to. I typically recommend Brain Calm Magnesium clinically because it contains a form of magnesium that has been proven very effective at specifically absorbing into the brain. I hear consistent testimony about how well this magnesium calms the nerves (literally!) and can really improve sleep quality. Adaptogens are substances that improve the body’s ability to endure stress. Traditionally, adaptogens were seen more as a performance enhancer for athletes but could they also improve sleep? There aren’t too many studies investigating the direct impact of adaptogens on sleep. What there is, however, is research showing the ability of adaptogenic herbs to lower cortisol and improve anxiety. This could be an effective remedy for anyone who is enduring chronic stress or blood sugar imbalance that is causing an evening spike in cortisol. The most effective herbs I have found for this purpose are ashwagandha, reishi mushroom, Magnolia bark, cordyceps and rhodiola (4, 5). One product we use is Cortisol Defense which has clinical doses of ashwagandha and Magnolia bark. These will help improve sleep quality and daily energy levels. 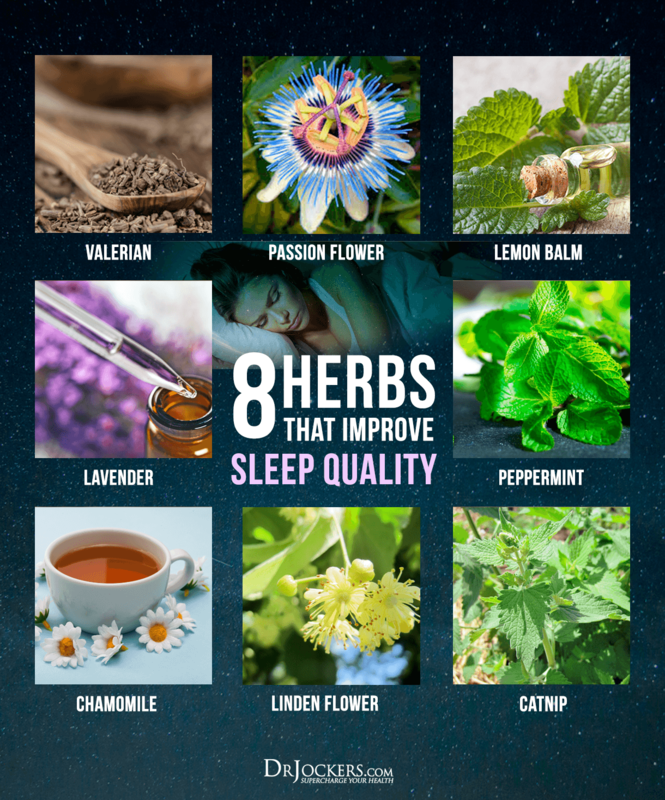 There are several herbs that can help to improve sleep quality. I find that for someone with severe insomnia, these herbs don’t quite do the job. In combination with other strategies, however, certain herbs can complement a sleep plan very well. Some of my favorite herbs to improve sleep are kava, chamomile, valerian, passionflower, lavender, and lemon balm. Instead of going out and buying all of these herbs, I usually recommend this Nighty Night tea made by Traditional Medicinals that combines many of the best sleep herbs in one tea bag. Use this daily to improve sleep quality! This one is touchy and there are many opinions on melatonin. When it comes down to it, melatonin is a hormone. The ideal situation would be to optimize your body’s own ability to create melatonin so I would consider this supplement an acute support for occasional use. Supplementing with melatonin can be very useful for either occasional sleep support or retraining the sleep cycle. For this purpose I really like this magnesium plus melatonin that can be applied to the skin. Applied to the abdomen this combination works really well for relaxation and sleep. We also have a great quick dissolve capsule-based melatonin product called Sleep Support that I have many of my clients use in order to improve their sleep quality. It’s starting to become apparent that many of our sleep problems are a result of not being fully in tune with nature. Naturally our bodies should coordinate with the cycles of night and day and additional support shouldn’t be needed. While nutrition plays a huge role in helping the body regulate itself, there is another major deficiency that I believe affects almost all Americans. This deficiency is exposure to nature. The benefits of being in nature are increasingly being uncovered and range from mood improvement, boosts in creativity, better immunity, stress reduction, and yes, even better sleep. A recent study investigated the influence that camping has on our sleep and found that, in the absence of artificial lighting (that means no cellphones), sleep onset occurred much earlier and in sync with the rising and setting of the sun (6). The most valuable hours for sleep are considered to be between 10pm and 2am so using camping as a way to reset your sleep cycles could be a game-changer. The study found that even just a weekend of camping had a powerful ability to reset the circadian rhythm. Additionally, being in nature during the day will lower cortisol, improve mood, and inspire creativity! Thank you for sharing all these ‘gems’ with us Very interesting articles. I had also seen a clip about parasites waking people up in the middle of the night, so that is something to get checked. Have you heard of that? Yes Rey that is a common side effect of infection! Thanks for another great article. What form of Magnisium do you recommend? I use : ascorbate, stearate, oxide & oxide monohydrate. Thanks for your answer. 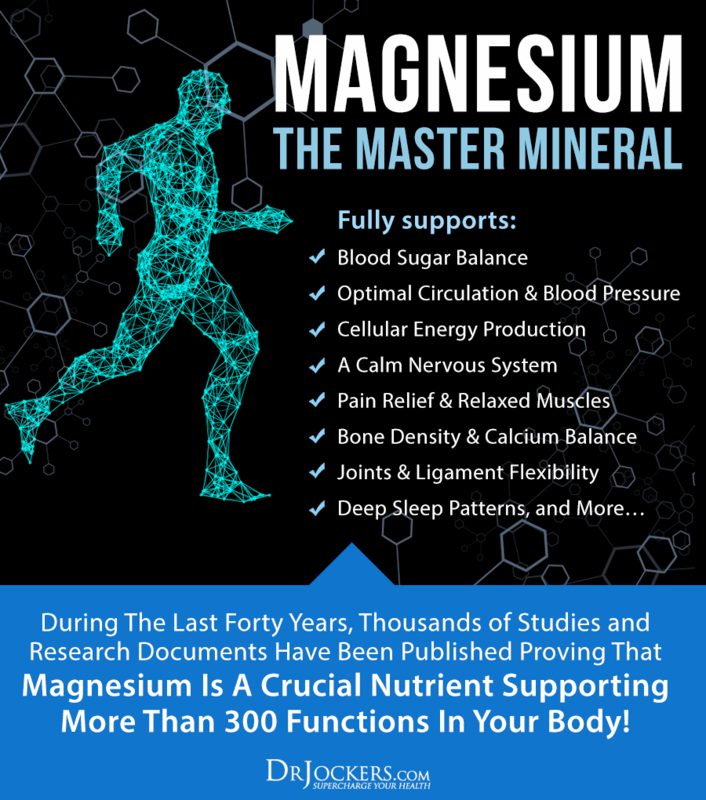 It’s a great article about magnesium. What is your supplement made of, for I need to know it’s kosher. Which product are you referring too Hana? On general. do your supplements have any supervision about KASHRUTH? Thank you, Dr. Jokers. Some things I knew-about the role of magnesium, for instance, but I was surprised to find out some other new information. All these supplements you mention can be used at the same time with classical medication for anxiety and part of depressions-anxiety prevails-like Effector and some pills for sleep? I used to take just Effector for about six years,and I felt great, but my mistake was that I gave up pills gradually and two months it was all right until all of a sudden the symptoms reappeared. Now I am taking Effector of 150, just like before when I felt great, but now I have to help myself with some pills for sleep and calmness until Effector begins to really work. Thank you again for your precious advice! Congrats for your great family! Glad to hear you got a lot out of this Daniela! Be Blessed!